Custom flags and banners are available in many shapes, sizes and styles. If you're looking for something a bit more unique and original than the standard rectangle, you have many options to choose from! Many of these custom flag shapes have funny names that may not be familiar to those who haven't purchased flags before. We've put together a list of some of the most common custom flag shapes so you can explore your options before ordering your custom flag! A pennant is a triangular shaped flag. The header or sleeve of a pennant flag is typically on the shorter of the 3 sides and the other 2 sides are the same length so that the point is centered. Pennants come in either horizontal or vertical layouts. Interested in designing a pennant flag, but need some inspiration? 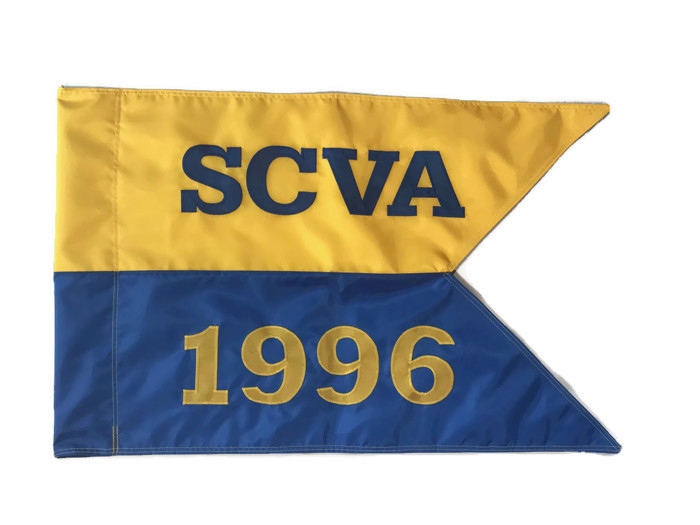 Check out our custom boat flags portfolio to see a variety of customized pennant-shaped boat flags or review our past work on customized bike flags for ideas! The term burgee is not truly specific to any special shape. 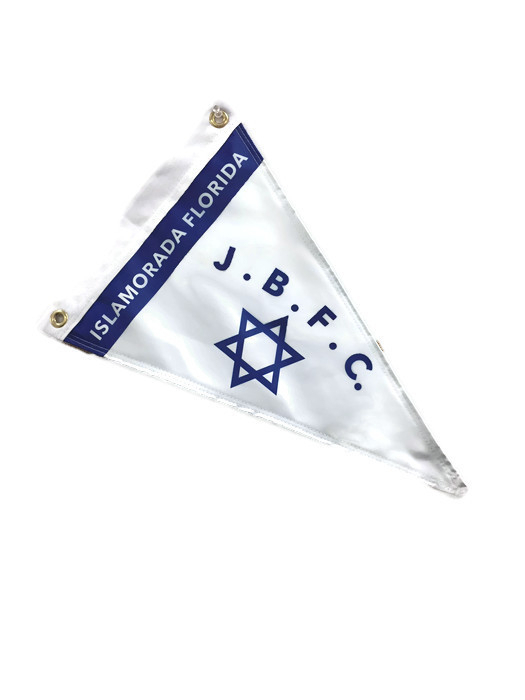 It is, however, usually a different shape than a standard flag, typically a pennant. The term guidon is typically used to refer to a unit flag, but while this custom flag shape is often used for military purposes it can be used in other contexts as well. A guidon is a rectangular flag with a 2 pointed tails. It looks as if a triangle was cut out of the fly end of the flag. 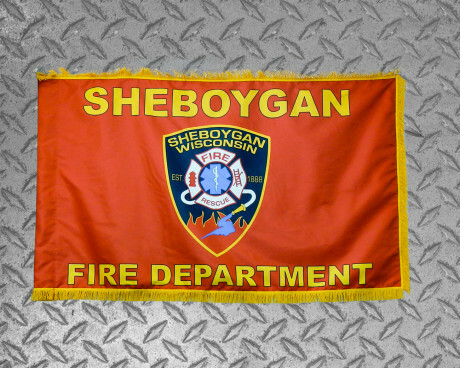 Curious about custom guidon flags? 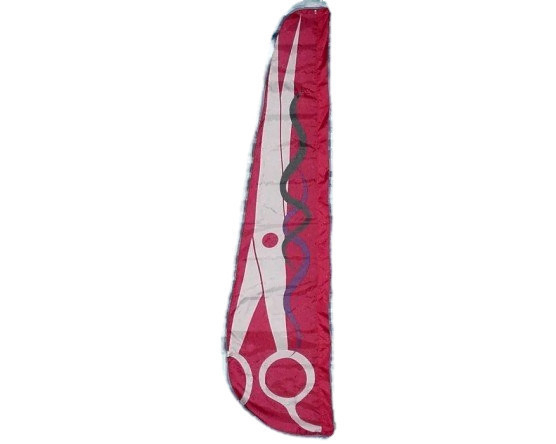 Take a look at a customized guidon here. Want to design your own military platoon guidon? View a portfolio of some of our past customized military platoon guidons here. If you turn a guidon vertically so that the 2 points are pointing down, it would be called a dovetail (or swallowtail) banner. 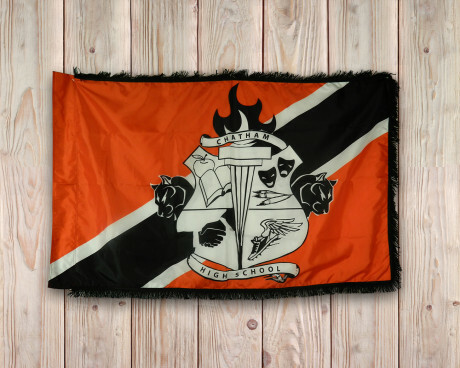 This style of custom flag is very popular. Dovetail flags are frequently used as wall or podium banners. Thinking about ordering custom flag in the dovetail/swallowtail style? 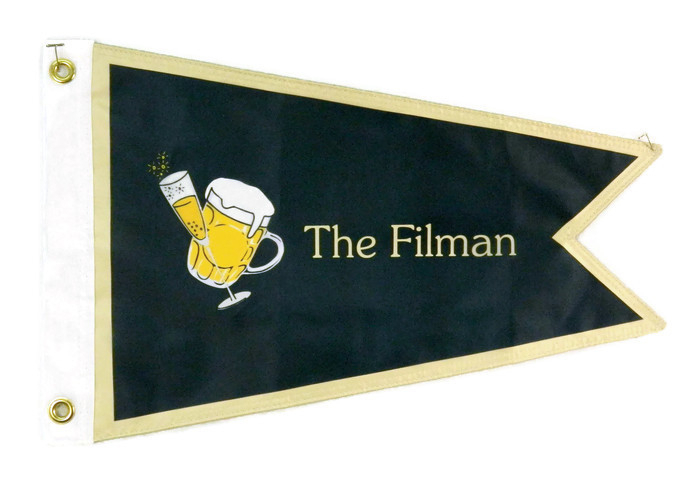 A variety of dovetail flags can be found in our collection of personalized medieval family banners. Check them out here. A birdsmouth flag is a triangular pennant shape with a small triangle cut out of the point so that it has a double pointed end. Picture a birds beak just slightly open. Think a birdsmouth style flag might be what you're looking for? 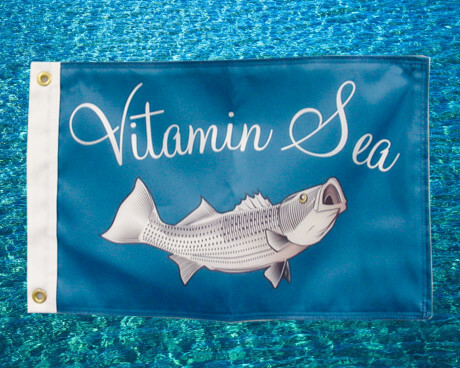 Check out one of our custom birdsmouth flags here. A gonfalon is a vertical banner that looks as if an extra triangle were added to the bottom of it giving it a single point. They are similar to dovetail banners, but instead of having two points at the bottom they have one. Gonfalons are very popular as processional banners for colleges and universities. You'll often see them in academic settings. They can also be used to represent groups and organizations in parades. Interested in designing a custom gonfalon? 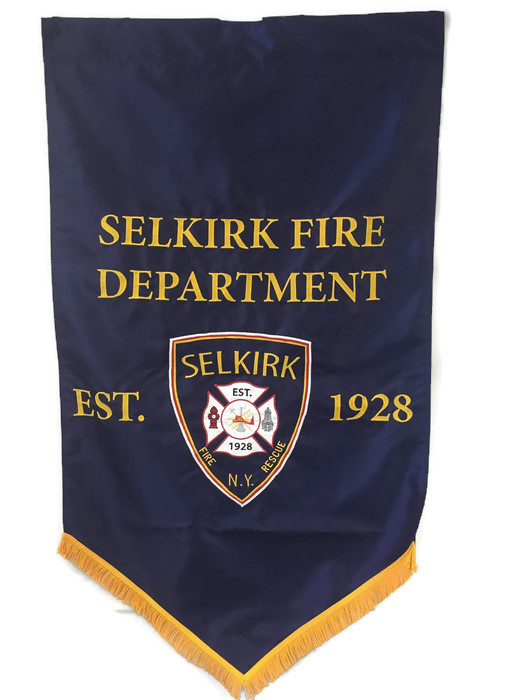 Check out our custom school flags and banners, our personalized medieval family banners, and our custom fire department flag portfolio for a variety of gonfalon examples. A feather flag has a vertical layout and mounts to a vertical pole on one side. The fly end has a curved shape that is narrower at the top and wider at the bottom resembling a birds feather. Feather flags are often used by businesses to draw attention to store locations or showcase offers, sales, and special events - though they can be used for many other purposes as well. Looking for some design inspiration for a custom feather flag? Check out our portfolio of custom feather flags here. 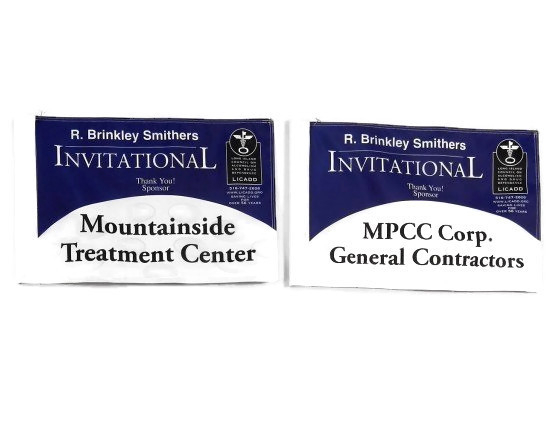 Golf flags are great for sponsors or country clubs when it comes to advertising on a professional green. They are also available for the backyard enthusiast. Choose from grommets or a golf tube mount which works with a standard pin. In the market for a custom golf flag? 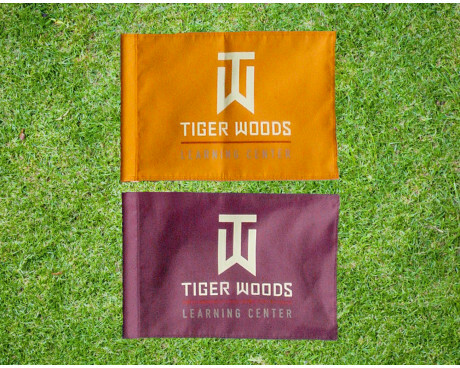 Browse our selection of custom golf flags here. 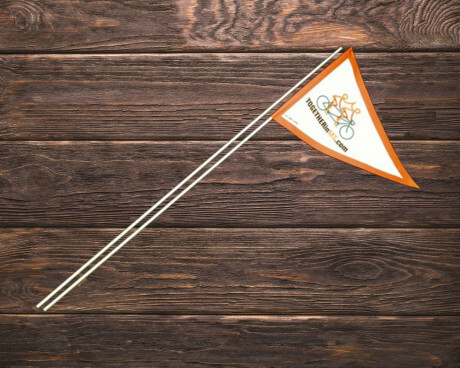 Or, if you're looking for something a bit more standard in terms of a golf flag, you can browse our line of golf tee flags and directional flags here. When we mention "style" of custom banner, what we're really talking about is use. Custom banners are very versatile and can be used in a wide variety of ways, both indoors and outdoors. Each type of banner can be used in a number of different ways, but there are a couple of common uses that we typically see. 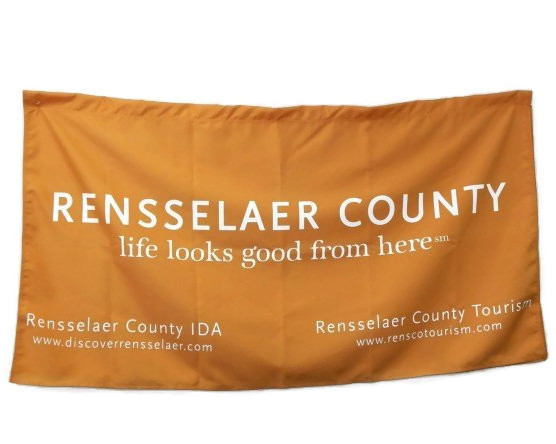 A banner with any shape that isn't mentioned above and isn't squared off would be considered scalloped. We can cut just about any shape into the bottom of your banner for added detail. This is a common practice for marching lead banners and can be accented with fringe for a very luxurious look. 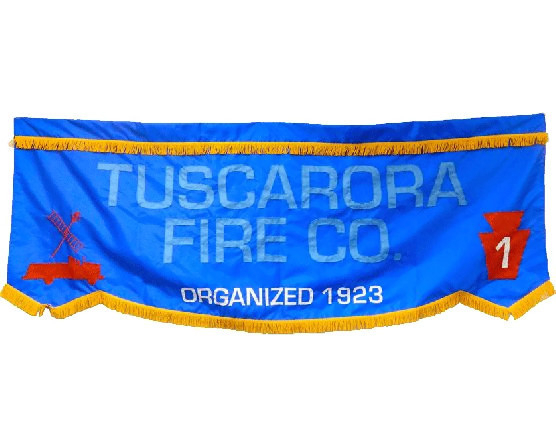 Interested in creating a banner with a scalloped bottom for your group or organization? Check out our full portfolio of custom marching banners here for ideas and inspiration. A table drape (also called a table cover or tablecloth) can be customized with any logo or color. They are typically printed on polyester for easy cleaning and use. These products are often used by academic institutions, businesses and other groups to showcase their organizations and brands. Unlike other types of banners, table drapes are usually not designed to be mounted to a pole. They are typically hemmed on 4 sides and are displayed on tables or walls. Think a custom table drape might be just what you need to showcase your business or organization? Browse our full portfolio of custom table drapes! Have questions about ordering a custom flag featuring one of these unique shapes? Whether you're wondering which shape might be most appropriate for your specific project, or you're looking for some guidance when it comes to choosing a custom flag process, our team can help! Just give us a call at 1-888-697-3524 or contact us online to get the conversation started. We'd be happy to assist you! Ready to place your custom flag order? The first step is requesting a quote! 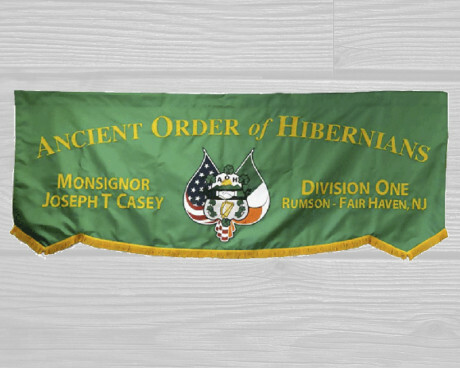 Contact us here for a custom flag quote and take the first step towards creating a custom flag or banner that's uniquely your own!